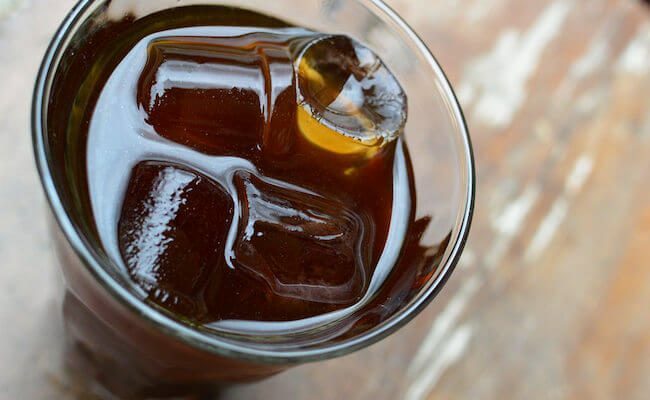 Cold brew coffee has a rising star in the world of coffee geeks. In this post, I’ll take a closer look at the chilled coffee phenomenon. Some well-meaning advice about having ice coffee in the morning is to put your leftover hot coffee in the fridge and take it out in the morning. That’s great, but who has leftover coffee? If you’re like me, you might want to look into cold brewing instead. It’s easy and convenient, and most important of all; it’s tasty! 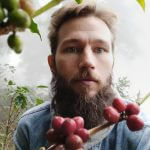 In this article, I’ll tell you everything you need to know in order to find the best cold brew coffee maker for your particular needs. The Toddy is a simple, easy to clean device that uses reusable filters (better for the environment, simpler for you,) and offers the versatility of a cold/hot brewing system. Whether you’re a beginner at making coffee or a seasoned pro, this is a great way to get into cold brewing. Iced coffee is made the regular way, a hot water drip, and then cooled down to drink over ice. If you brew it directly on the rocks, it’s often called Japanese ice coffee. If you’re like the rest of us busy individuals who never have leftover coffee, the easiest way to get your cold coffee fix is to brew it cold. That’s right. Brew it cold. Brewing coffee cold slows down the extraction process, producing a fuller, more nuanced flavor of coffee. Hot water affects the natural oils in the bean which can cause higher acidity and a more bitter taste. Brewing it cold allows you to taste a different side of the bean. It’s like the difference between a steak that is rare and one that is well-done. It just gives you a new tasting profile and is well worth the effort. The old-fashioned way to make cold brew is to allow the grind to soak for a long time in the fridge. People use all kinds of contraptions, bowls, and filters to achieve this process, but there are all-in-one systems to make brewing a lot easier. Some systems are full drip systems that remain on your countertop while others are merely a carafe and attached brewer and filter on the top. How you choose your system will depend on how much space you have and how often you make this kind of coffee. 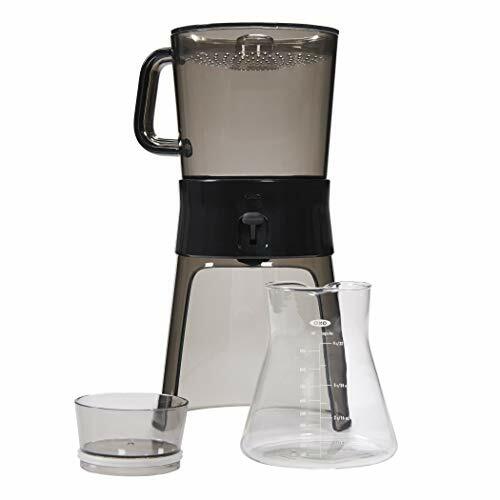 OXO’s cold brew coffee maker is a 12 to 24-hour process that allows you to steep and store the coffee in a concentrated form until you’re ready to extract it. Just add the desired amount of grind to the top container and add water. Allow the mixture to steep to your desired strength. When you are ready for coffee, flip the switch and OXO produces a cold coffee concentrate that can be added to milk, cold water, or even hot water should you want hot coffee. The flavor remains the same cold brew quality for each. The construction evenly distributes water over the grind for a better flavor of coffee and is easy to disassemble and clean. It has a four cup capacity and comes with ten paper filters to get you started. It has a small countertop footprint and breaks down entirely for even smaller storage. The carafe is glass and has markers to measure water. It includes a sealing top so you can store your cold coffee concentrate in the fridge for up to two weeks. The Yama is like an old-fashioned science experiment sitting on your table. Not only does it produce iced coffee in a third of the time, but it looks like an art installation all on its own. It features a wooden stand that supports a drip system. Pour water into the top carafe and coffee into the middle. Open the stopper, and cold water is slowly released into the coffee carafe to be fed down into the bottom carafe. This produces cold coffee in as little as three hours. It comes with a permanent ceramic filter, so there’s no need to buy paper filters. It holds 32 ounces and disassembles to clean. The drawback to this system is that it takes up a lot of space. If you have a (large) dedicated area for your coffee maker, it’s a beautiful piece, but smaller kitchens will have to sacrifice valuable space. The Mizudashi is a space saving, simple alternative to other cold brew coffee makers. It’s just a heat-resistant glass carafe with a reusable coffee filter insert in the middle. To make cold brew coffee, pour the cold water into the coffee filter over the grind and allow to steep for 12-24 hours. When you’re ready, simply remove the filter and store your coffee. You’ve got a cold brew concentrate that can be mixed with cold water and ice, or diluted and heated for better tasting hot coffee. It’s a simple system that disassembles to clean and can go in the dishwasher. It’s a cheaper alternative to bigger cold brew coffee makers with the added bonus that you store the whole thing in the fridge when you’re making coffee because the maker and carafe are the identical. The instructions come in Japanese, but English translations are available on the website. The whole system is easy enough to use without instructions, however. 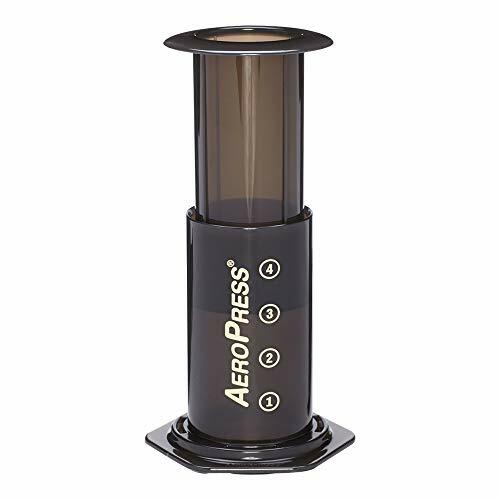 AeroPress is both a coffee and espresso maker that brews both with the cold water method. It allows for total immersion of the grounds for a more robust flavor that still retains low acid qualities and nuance. The coffee is micro-filtered and produces a concentrate that’s good to store in the fridge for up to two weeks. Just dilute with cold water or milk, or add to hot water for hot coffee that retains the cold brew flavor. 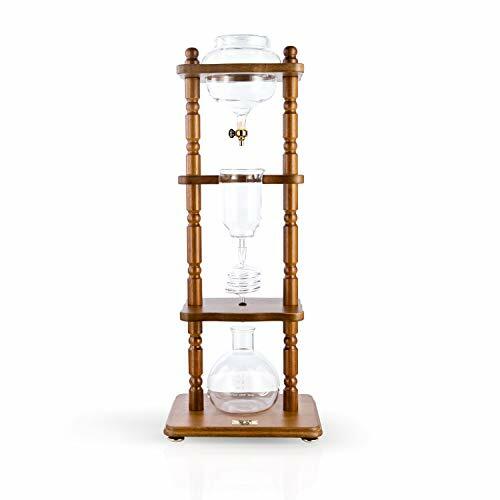 You can also use this system for brewing hot coffee the old fashioned way if you prefer. The unit has a lot of parts, but the only regular cleaning needed is the stopper. Plunge it under some soapy water, and you’re done. The press is made of heavy plastic and is BPA free. It is compact enough to store in a drawer, so you sacrifice zero valuable counter space to have your coffee. A downside is that it doesn’t make as much and will require more brewing if you’re a serious coffee addict. 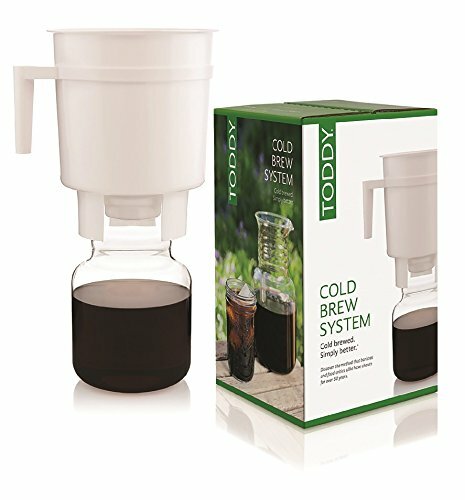 Toddy’s system can be used to brew both hot and cold brew coffee. It’s a small brewing container and decanter that allows you to seal and store your cold coffee concentrate in the fridge for up to two weeks. To brew, pour cold water over the grounds and allow the mixture to steep slowly in the fridge. When it’s done, remove the brewer piece and store the carafe. The system is easy to disassemble and clean. The filter is reusable. Just wash the whole system and store in the drawer until you need to use the coffee maker. It doesn’t make a lot, but because the cold coffee is concentrated, it should make plenty to dilute at least for a few days for people who drink one or two cups of coffee per day. The brewing section is plastic and has a handle to make things easier. The carafe is glass. It also comes with a lid for the carafe, two reusable filters, and an instruction booklet. and also if you’d like to show off for friends. Cold brew systems can be simple. One or two on our cold brew review list is just a carafe, and a filter or brewing attachment meant to be stored in a drawer. These save you a lot of space on your counter and can be easily disassembled to store for good. Other systems are much fancier and require more countertop space. The upside to these is through a unique, stationary drip process; the flavor is more subtle and interesting than if the extraction process just happens via immersion. If you still prefer a traditional brew, it’s helpful to have a system that’s convertible. Some systems allow for both cold or hot water to infuse the grinds. These give you a wide range of brewing styles if you like to experiment or just want to change things up every so often.